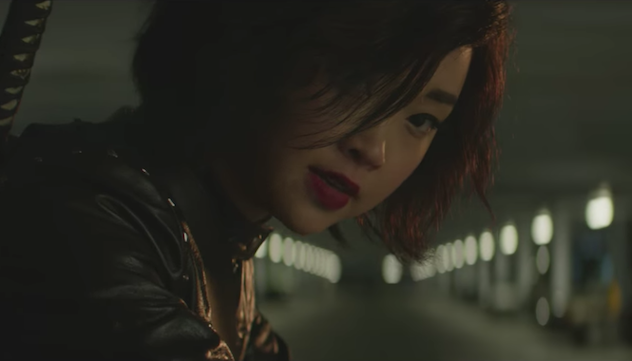 The upcoming star will appear in new Syfy series, “Deadly Class,” that follows a disillusioned teen recruited to a high school for assassins. Maintaining his moral code while navigating a ruthless curriculum, vicious social cliques, and his own adolescent uncertainties may prove fatal. Set against the back drop of late 1980’s counter culture, the film presents a very unique coming-of-age story unlike most we’ve seen. Lana’s character Saya Kuroki is mysterious and guarded with a deadly reputation. Saya was banished from the Yakuza clan in Japan and sent to the School for the Deadly Arts to redeem herself. Driven by her goal to become valedictorian, Saya is not going to let anyone get in the way. The TV series is inspired by the 2014 “Deadly Class” comic book series written by Rick Remender, who will also act as the co-showrunner of the production. “I chose all of the music. I’ve been involved in every step of it. So if it fails for fans, it fails because of me. It’s not something that they can blame on those rotten TV folks,” Remender said. “Deadly Class” premieres on Syfy in 2019.